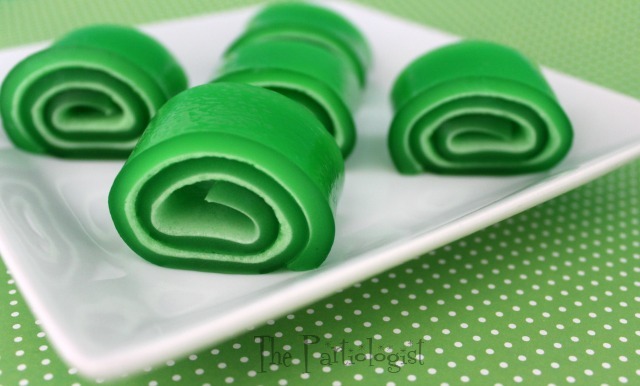 The Partiologist: Jell-O Roll Ups! 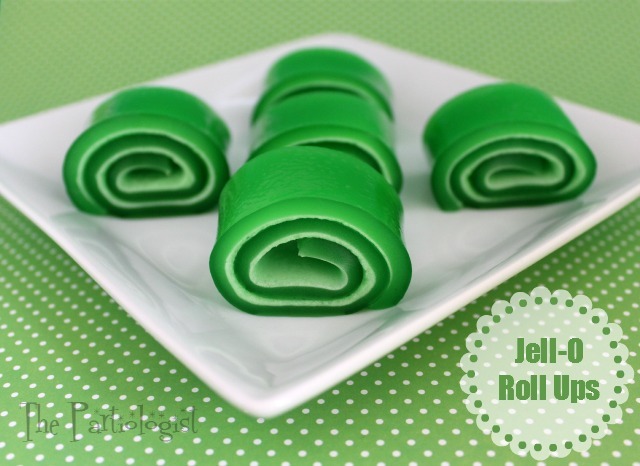 ﻿It's been awhile since I featured these Jell-O Roll Ups and being one of my most popular posts, I thought it was time to bring it back. Instead of blue and red, this time it's green for St. Pat's Day. What's not to love about two favorites, Jell-O and Marshmallows? With St. Patrick's coming and before you kiss the Blarney Stone, I wanted to share some fun since I am a little bit Irish...okay, not really. With two ingredients and you'll have a kid friendly/adult favorite treat. Start with 12 Large Kraft Jet-Puffed Marshmallows. 1 3 oz. 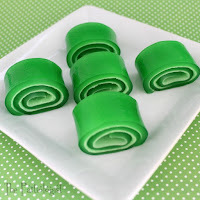 box of lime Jell-O. With Pam, spray for the bottom of an 8" x 8" pan. Pour the dry Jell-O mix into a large mixing bowl. Dissolve 1/2 cup warm water and Jell-O in large mixing bowl and microwave for one minute. Add marshmallows to Jell-O mixture, stir to coat and return to microwave for 1 1/2 min. until marshmallows are puffed and melted. Whisk until marshmallows are completely dissolved. Pour into prepared pan. Refrigerate until well set, they should be very firm and easy to handle. Loosen edges with a knife. Starting at one end, roll up tightly and remove from pan. Lightly spray an 8 inch square pan with non-stick cooking spray. Dissolve warm water and Jell-O in large bowl and microwave for 1 minute. Refrigerate until well set, they should be very firm and easy to handle. These look amazing! Thank you for linking up to Party Time and we hope to see you again next week!